Retailer ONLY: Add 3 or more to cart and receive your copies at wholesale rate of 50% off. You must prove that you’re a retailer at checkout. Your store will be added to our retailer map as well! Red dragons, black dragons, green dragons, gold dragons. They are great, but we’ve seen them before. What makes a dragon unique among all others of its kin? What is its history, what are its motivations, and most importantly, what makes it legendary? 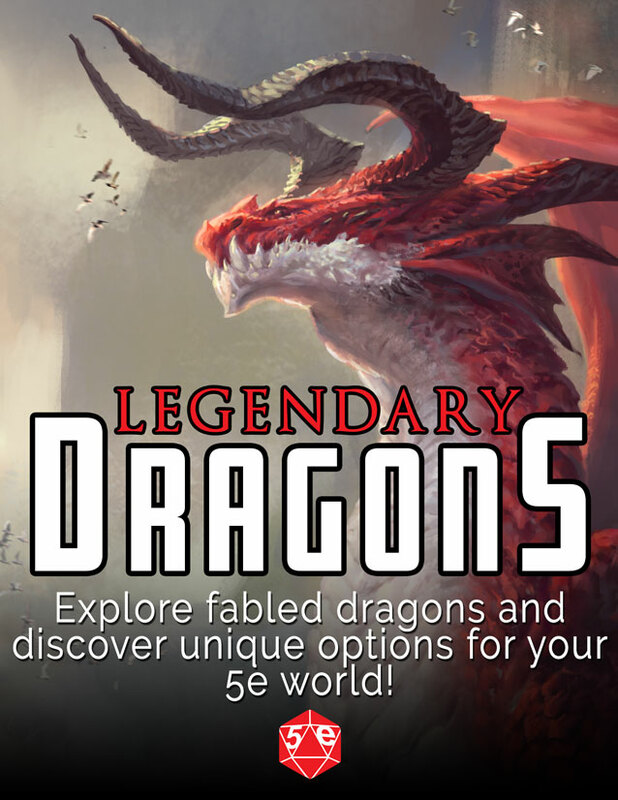 Legendary Dragons answers all this and much, much more! Legendary Dragons will ship in July-August of 2019. We offer a 1 year buy-back program, where if the product does not sell within 1 year, you can return unsold product to us and we will reimburse you for shipping and for the cost. NEW content for your 5th Edition game! You’ll not only have brand new Legendary Dragons and their lore to throw at your players, but some new monsters, too! Dragon Tactics and how to use Dragons effectively in your game! We also teamed up with some of the best 5E writers in the biz! • Dan Dillon: Writer, Tome of Beasts and Creature Codex from Kobold Press, Dungeons & Dragons Adventurer’s League, Rogue Genius Games, Legendary Games, Rite Publishing. • Cody Lewis:YouTube creator. D&D Twitch Streamer. Dungeon Master. http://youtube.com/taking20. Mad mind behind Save or Dice. • Jim Pinto: Writer: Legend of the Five Rings, Warlord, Protocol, Praxis, The Carcass, George’s Children, World’s Largest Dungeon,Gods and Goddesses, and Masters and Minions.